Located in the South of Sulawesi Province – one of the most popular tourist regions in Indonesia, Palopo consists of 9 districts and 48 villages. However, the hottest destination in Palopo shore excursions is Kete Kesu village just a 2-hour drive from Palopo port. 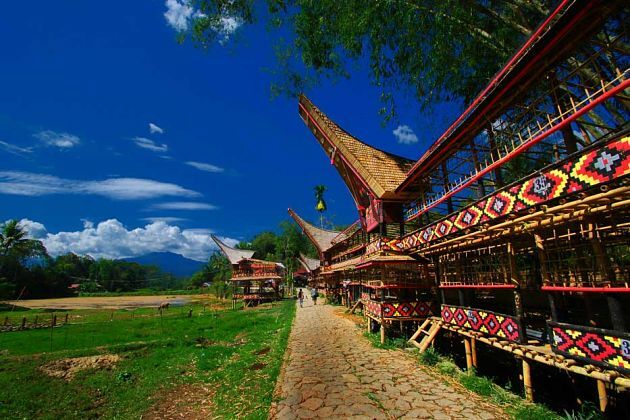 Due to being isolated until the early of 20th century, the Toraja civilization uniquely stands out of the modernization. Blessed with the beautiful nature and enriched with the originally ancient culture, Palopo shore excursions to Kete Kesu village will surely bring travelers to a completely new world. The weather in Palopo is mild and pleasant even during daytime or at night. The temperature ranges from 20 to 33⁰C (68-93⁰F) all year round. The west monsoon comes from December to March with heavy rainfalls and high humidity in the late afternoon and evening. However, the rain passes by really fast and the sun will shines again. The dry season lasts from June to September that rain rarely drops. Asia Shore Excursions offers many interesting Palopo shore excursions for cruise ship passengers who stop at Palopo port in Japan. Contact us for getting the best Palopo day tours from cruise port or enjoy the flexibility to tailor-make your own Palopo shore excursions fitting your needs.